Welcome to the 2017 hennemusic Rock News Awards. On May 14, AC/DC singer Brian Johnson made his return to the concert stage for the first time since leaving the band over hearing loss issues in 2016. 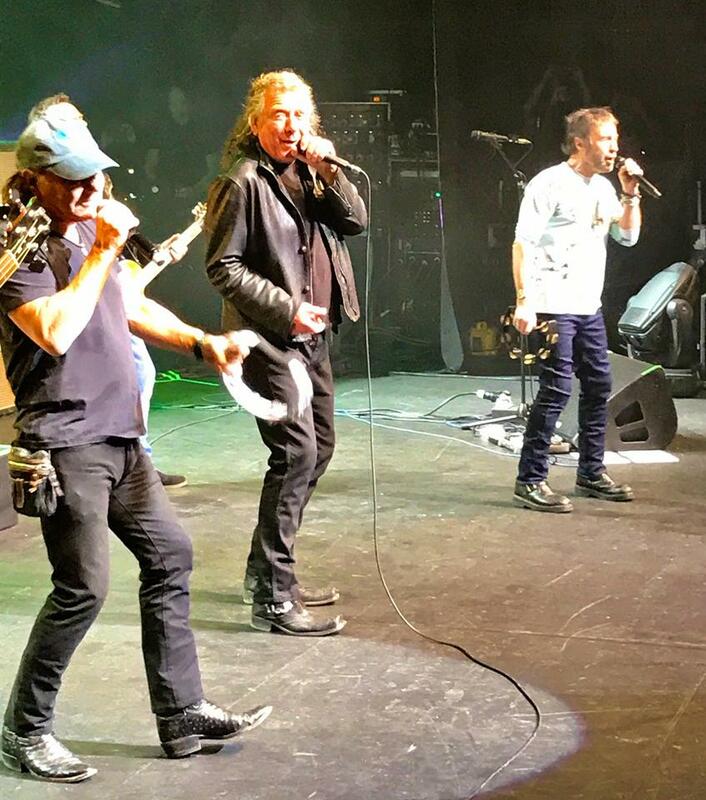 The rocker and Robert Plant joined Paul Rodgers during his show in Oxford, UK for a performance of Barrett Strong’s 1959 classic, “Money (That’s What I Want)”, with each of the singers taking turns on lead vocals and Plant adding some harmonica to the proceedings. Johnson – who has revealed that the initial source of his hearing loss began approximately nine years ago while racing at the Watkins Glen International – has been working with the inventor of in-ear monitors, Asius Technologies founder Stephen Ambrose, to find a technical solution that would allow the singer to safely return to live performances one day. Check out the No. 10 hennemusic story of 2017 on AC/DC here.